The day Stephen Cummings announced he was starting a Doom band, I was pretty stoked. Around this time, I’ve been following Stephen’s podcast, called Stevil’s Podsmash. It was a fun podcast. I wasn’t to big on the bands he had on, but it was quality entertainment. And the effort he made to make his podcast sound great, I knew he was gonna put a lot of effort to make his doom album not only sound very heavy and crushing, but also legit. Months and months later, and he finally announced the name of his new band, in which Stephen has named Sixes. Of course everyone wouldn’t hear anything until months later when the first single, A Cross To Burn, came out in February of 2017. Then early this year, it was announced that Black Bow Records has signed Sixes, and will help to release their debut album, “Methistopheles”. Of course this shouldn’t be a surprise as Cummings made sure to get the name out there across social media and by performing live with bands like Conan and Year of the Cobra. So was Sixes’ debut album worth the wait? The album opens up with Acid God. Upon hearing it, you pretty much know there isn’t gonna be a light at the end of the tunnel, after this journey. The sound of a grim bass with guitar feedback, followed by a crushing riff, pretty much prepares you for what to expect from this album. A Cross To Burn would be the track that got me excited for Sixes. It has all the ingredients that makes for a killer doom song, with it’s apocalyptic dirges and mammoth intensity. Fogbreather sounds like something that Goliath will listen to get himself pumped up. Pretty sure he would have annihilated David if this song was blasting through Goliath’s headphones. Voidkiller is the track I’ve seen many bloggers and journalist phrasing. It’s definitely different from the other tracks. Not so much because of the singing. But it just has a very different vibe from the rest of the album. It’s a track that I can imagine the late Leonard Cohen doing. It just has that bleak and depressing vibe. Like being outside at 3am, leaning on a lamp post, and holding a brown bag, with a bottle of whiskey inside. Just waiting for your life to come crashing down. 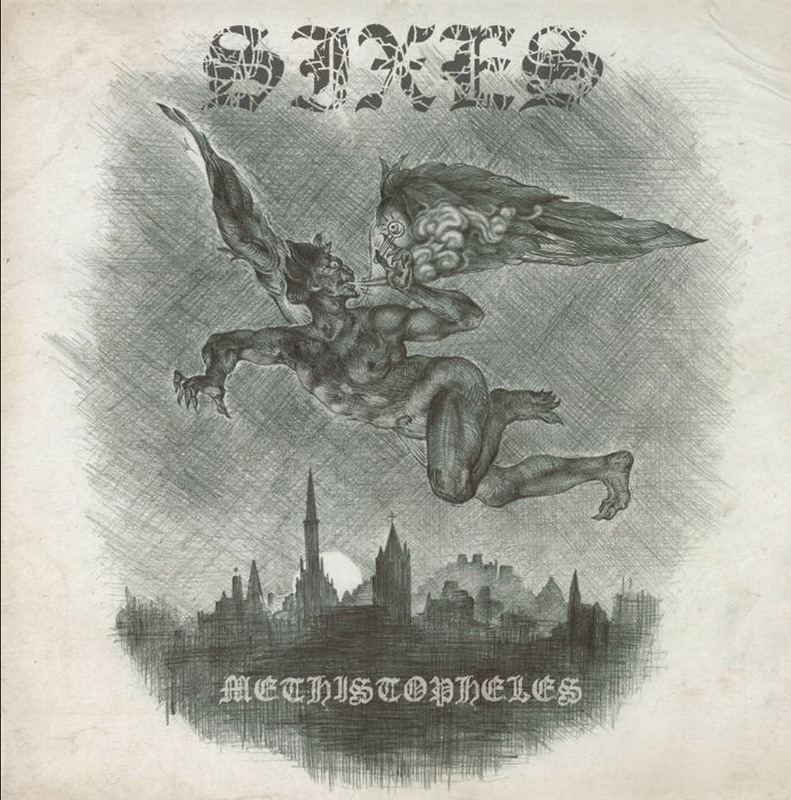 If there’s one thing to say about “Methistopheles”, it’s that it shows that Sixes can be major players in the doom scene. They got a presence that you can feel around you, when they hit that riff. Your just sitting on a bean bag chair, ripping into that bong, when all of a sudden, a group of druids break down the door. They drag you out of your room. You’re grabbing on anything to keep the druids from taking you away. But they are too much. They bring you into a sonic abyss, where you feel your body just caving in. They show you a World that will make angels weep (and they have wept). It’s these type of listening experience is what Sixes exposes to the listeners. It’s dark, bleak, and raw. It’s a part of reality that people don’t want to touch and it’s because of this, I enjoy Sixes, and for what they’re doing, not only for the doom scene, but in music in general. Physical copies and other merch can be purchased here - https://sixesdoom.bigcartel.com. Look out for more reviews from Mikey this year and check out his project Diclonious here - https://www.facebook.com/dicloniusdoom/. Thanks man!